It is our pleasure to bring today's technology to your rental experience. If you are relocating to the area and area considering one of our homes, allow our team to accommodate you with our vdeo chat services. 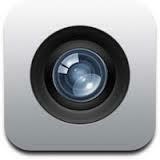 We currently offer Facetime, Skype, Youtube, Google Hangouts, Yahoo, Oovoo, etc. If you prefer a video chat service not mentioned, we can still make it work.